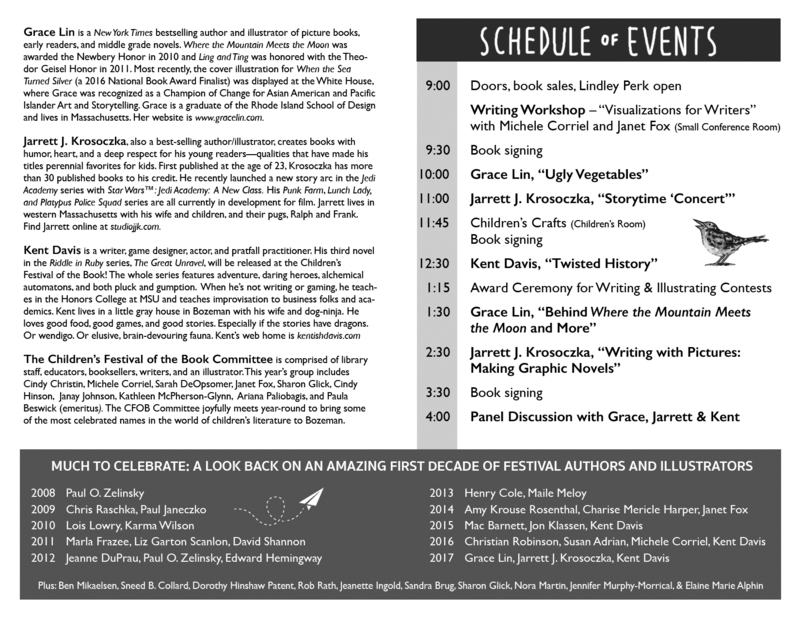 Children's Festival of the Book | Bringing successful authors and illustrators to the children of Bozeman! Bringing successful authors and illustrators to the children of Bozeman! Grace Lin is a New York Times bestselling author and illustrator of picture books, early readers and middle grade novels. 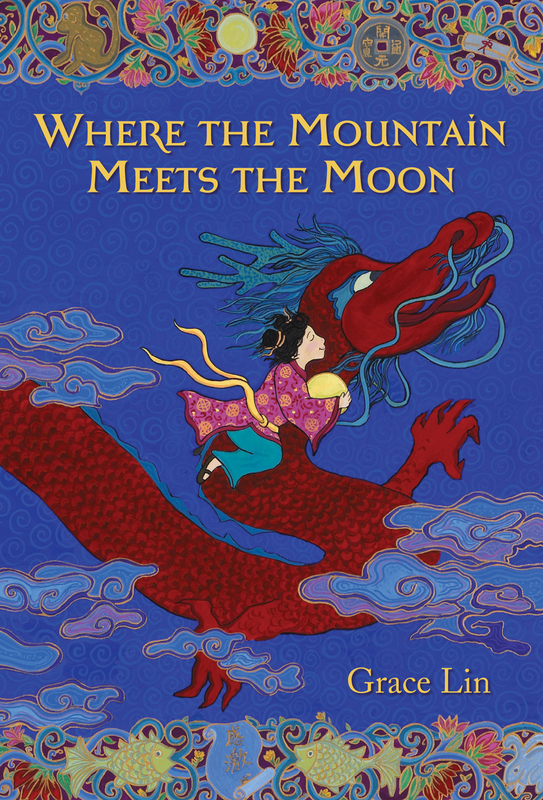 Grace’s n ovel Where the Mountain Meets the Moon was awarded the Newbery Honor in 2010 and Grace’s early reader, Ling and Ting was honored with the Theodor Geisel Honor in 2011. Please visit Grace’s website for more information! 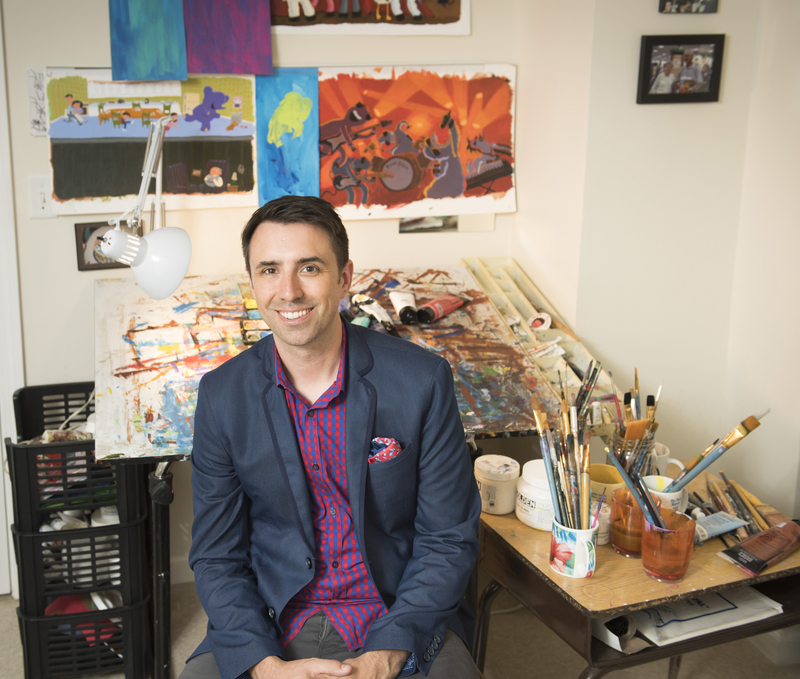 New York Times best-selling author/illustrator Jarrett J. Krosoczka creates books with humor, heart, and a deep re spect for his young readers—qualities that have made his titles perennial favorites on the bookshelves of homes, libraries, and bookstores. 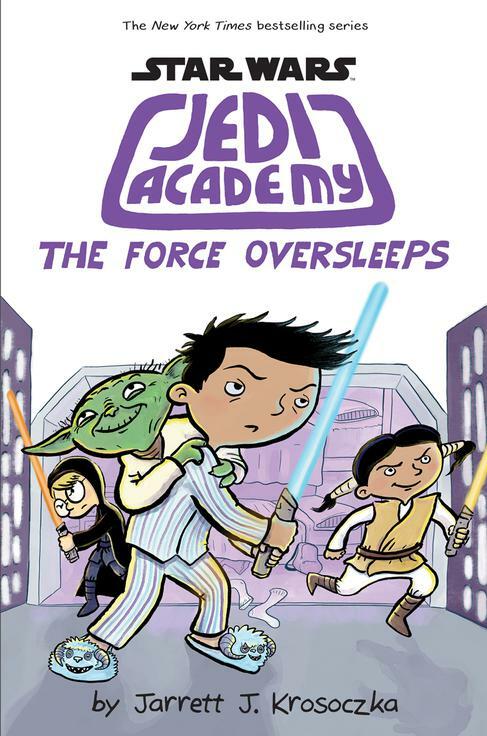 Krosoczka is a two-time winner of the Children’s Choice Book Awards Third to Fourth Grade Book of the Year and has been a finalist for the prestigious Will Eisner Comic Industry Award. His Punk Farm, Lunch Lady, and Platypus Police Squad series are all currently in development for film. Visit Jarrett’s page to learn more! Kent Davis has spent most of his life making stories. 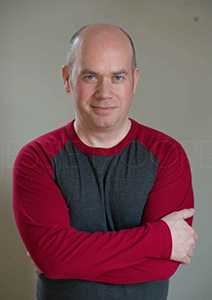 He is an author, game designer, and actor. 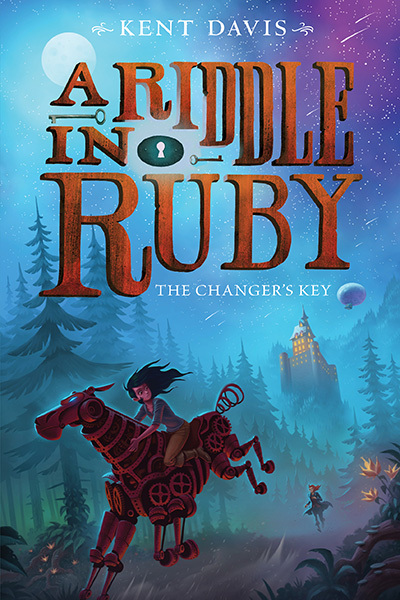 His second novel, A Riddle In Ruby: The Changers Key by HarperCollins’ Greenwillow Books was released September 2016. The first novel in the trilogy, A Riddle in Ruby was released in the Fall 2015. He and his game design partner, Chris Organ, are the two geeks behind the Ennie Award-nominated Epic RPG tabletop gaming system. Theater, film, and television credits as a short, bald man include an array of concerned friends, overbearing flunkies, and odd-yet amusing next door neighbors. A faculty fellow in the Honors College at Montana State University, he holds a B.A. in English from U. Penn and an M.F.A. in Acting from UC, San Diego. He lives with his wife and a clever dog-ninja named Bobo in Bozeman, Montana. He’s represented by Susanna Einstein at Einstein Literary Management, and you can find him at kentishdavis.com. Please visit Kent’s website to contact him or learn more about his work. And be sure to check out our Children’s and Teens’ Writing Contest and Illustration Exhibition (ages 8 – 18) this year. Go to the “Contests” tab for more information and to download submission forms!